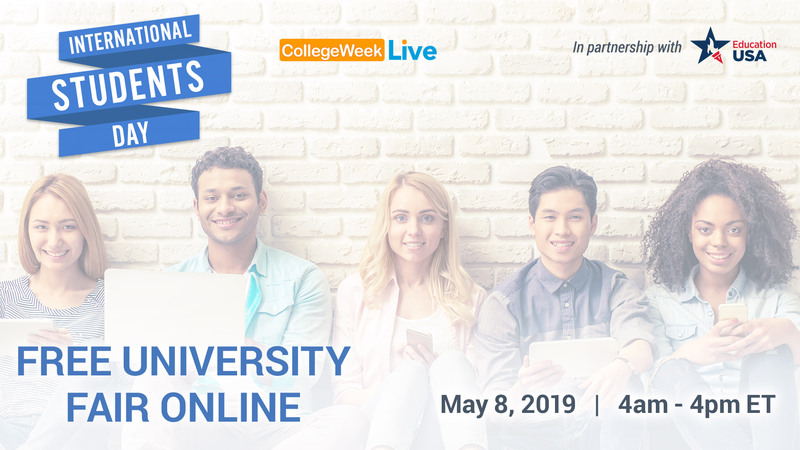 Join us at CollegeWeekLive's FREE International Students Day virtual college fair on May 8 from 4a-4p ET. Chat with 80+ U.S. college and university admissions counselors and get expert advice on studying in the U.S. from EducationUSA advisers. Get personal advice from EducationUSA, TOEFL, and more!